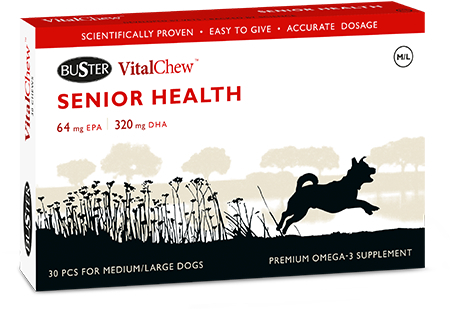 Senior Health is a complementary feed for older dogs. 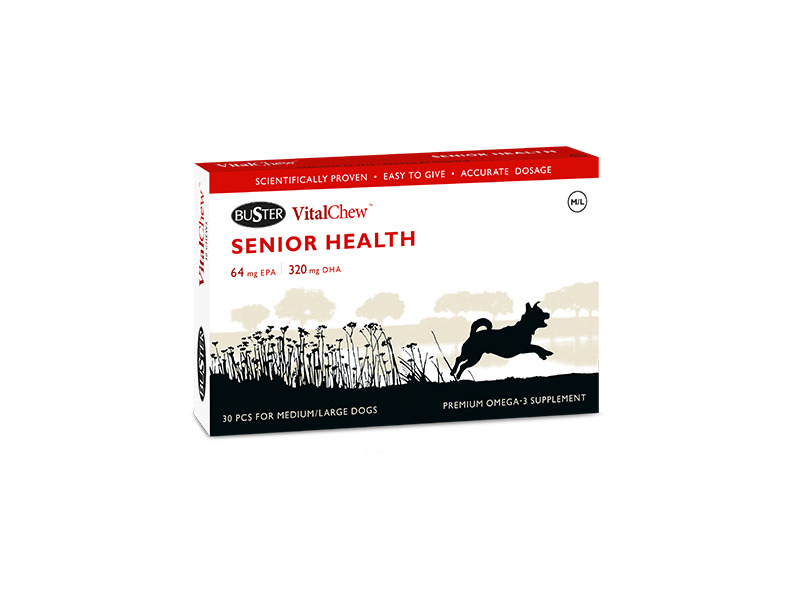 Senior Health contains adjusted amounts of the essential EPA and DHA acids from fish oil. Studies show that a high content of DHA is good for the ageing dog´s brain. In addition Selenium, Folic acid, Riboflavin, Biotin and Vitamin E have been added, which together with the fish oil supports skin, fur and the immune system. Available for small dogs (up to 10kg) and medium/big dogs (10-30kg+). There are currently no questions for VitalChew Senior Health - be the first to ask one!